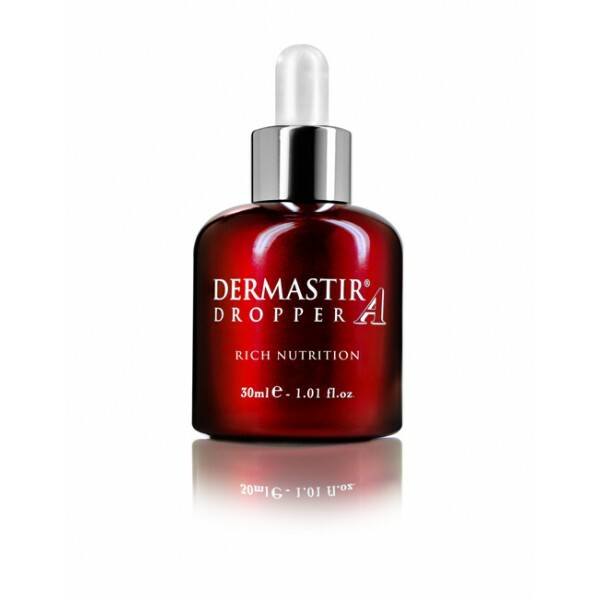 Dermastir rich nutrition assists in correcting severe signs of aging in mature skin. One main cause of visible aging is glycation, which occurs when an excessive amount of glucose molecules bind to collagen and elastin fibers that lead to severe skin wrinkling. Bioflavonoids(anti-oxidants) prevent collagen and elastin fibers from becoming rigid. This process stimulates the skin to re-inflate from within, restoring water and nutrients. The skin barrier is reinforced by promoting synthesis of lipids necessary to alleviate issues associated with dry, aging skin.